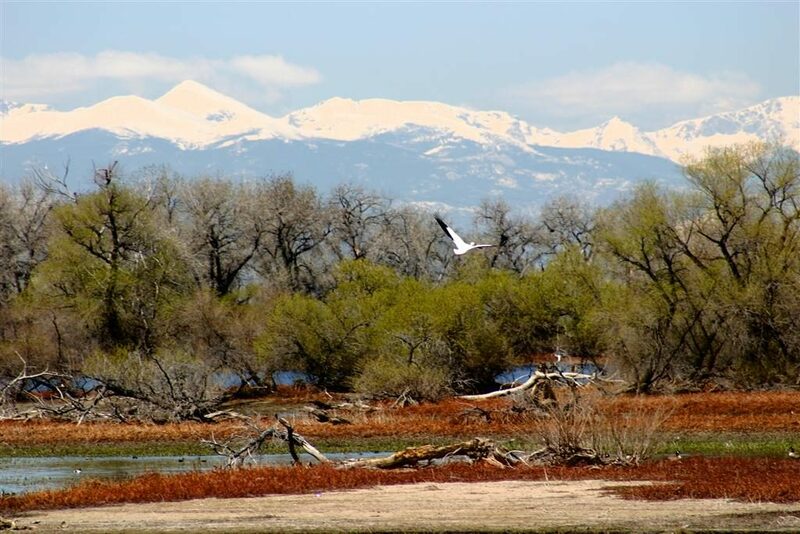 If you’re looking for a quick getaway near the Denver metro area, check out Barr Lake State Park, located near Brighton. The park includes boating, fishing, a nature trail and Nature Center, and wildlife viewing stations. And while boating and fishing aren’t in season right now, there are lots of other things to do at Barr Lake during the winter. Guided nature walks and a lighted holiday trail, a holiday open house, and archery classes are some of the park’s upcoming events. There is also plenty of wildlife viewing in the colder months. Several bald eagles winter in the park, and 350 other bird species have been spotted in the park throughout the year, as well. 150 years ago, what is now Barr Lake State Park was home to buffalo, elk, and pronghorn, which attracted Cheyenne and Arapaho Indians. Later, the area was used for cattle grazing. The railroad came to the area in 1883 and in 1908 a dam was constructed to combine two smaller reservoirs into what is now Barr Lake, supplying water to nearby sugar beet farmers. Barr Lake State Park opened to the public in 1977. Visit the park’s website for more details on activities, trails, and wildlife. Also, click here to learn about bald eagles at Barr Lake. You can also watch a video of the eagles. 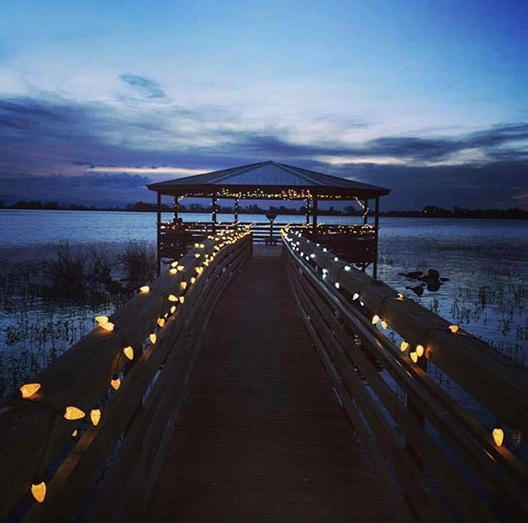 Barr Lake’s wildlife viewing gazebo decorated for the holidays.